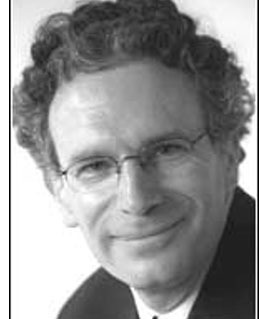 Daniel Finkelstein is a weekly columnist and Chief Leader Writer of The Times. Before joining the paper in 2001, he was adviser to both Prime Minister John Major and Conservative leader William Hague. 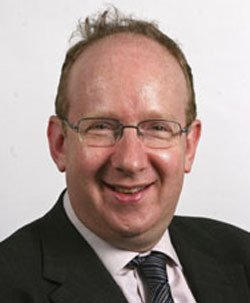 Daniel was named Political Commentator of the Year at the Editorial Intelligence Comment Awards 2011. 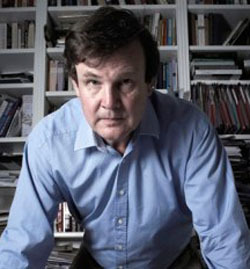 Peter Oborne is a journalist and author who joined The Telegraph in 2010 after writing for some years for the Daily Mail. He has also written for Prospect, The Observer, The Independent, the Evening Standard and the Sunday Mirror. His books include The Rise of Political Lying and The Triumph of the Political Class, and biographies of Alastair Campbell and Basil D’Oliveira, the latter being named the William Hill Sports Book of the Year 2004. 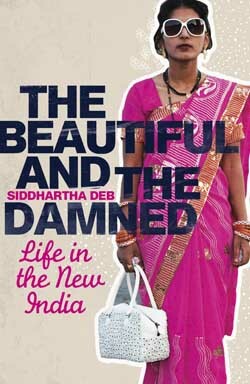 From leadership seminars in fancy hotels to medieval figures walking from town to town looking for work in small town factories; from the naïve waitresses working in the mecca of five star hotels to farmers struggling to grow the right crops for the 21st century, Siddhartha Deb’s book is the riveting, moving, darkly comic, brilliantly told story of modern India. With the novelist’s vision, reminiscent of V.S. Naipaul’s An Area of Darkness, combined with the modern narrative force of Maximum City, Deb’s account paints a portrait of this country in turmoil through the story of its people: aspiring and deluded, desperate and hopeful, beautiful and damned. Coming at a time when the global financial crisis and contracting of consumer spending is ushering in a new epoch for the fashion industry, To Die For offers a very plausible vision of how green could really be the new black. Taking particular issue with our current mania for both big-name labels and cheap fashion, To Die For sets an agenda for the urgent changes that can and need to be made by both the industry and the consumer. 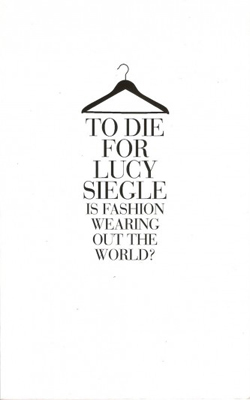 Far from outlining a future of drab, ethical clothing, Lucy Siegle believes that it is indeed possible to be an ‘ethical fashionista’, simply by being aware of how and where (and by whom) clothing is manufactured. The global banking crisis has put the consumer at a crossroads: when money is tight should we embrace cheap fast fashion to prop up an already engorged wardrobe, or should we reject this as the ultimate false economy and advocate a return to real fashion, bolstered by the principles of individualism and style pedigree? In this impassioned book, Siegle analyses the global epidemic of unsustainable fashion, taking stock of our economic health and moral accountabilities to expose the pitfalls of fast fashion. Refocusing the debate squarely back on the importance of basic consumer rights, Siegle reveals the truth behind cut price, bulk fashion and the importance of your purchasing decisions, advocating the case for a new sustainable design era where we are assured of value for money: ethically, morally and in real terms. A frank and honest memoir by Britain’s former ambassador to Kabul which provides a unique, high-level insight into Western policy in Afghanistan. For three years, from 2007 until 2010, Sherard Cowper-Coles was on the diplomatic frontline in Kabul as the West’s mission in Afghanistan sank deeper into crisis. First as British Ambassador and, later, as the Foreign Secretary’s Special Representative, he witnessed at first hand a struggle that by the time he left was swallowing billions of pounds of taxpayers’ money a year, and had already cost the lives of more than 2,000 coalition troops, including nearly 350 British soldiers, as well as tens of thousands of Afghans, in and out of uniform. In Cables from Kabul he offers a ringside seat in this unfolding drama in a high-octane narrative that transports the reader from the backstreets of Kabul and fly-blown villages of the Helmand Valley to the corridors of power in London and Washington. Packed with colourful portraits of major political and diplomatic players such as President Karzai and the US Special Representative Richard Holbrooke, the book gives a rich flavour of embassy life in one of the most dangerous places on earth. With his unique, high-level insight into the West’s policy in Afghanistan, Cowper-Coles raises fundamental questions about the viability of the whole Afghanistan project, even after the death of bin Laden. While paying fulsome tribute to the bravery of our soldiers and the tactical success they are undoubtedly achieving at a local level, he asks whether this will be enough to secure within three years the wider strategic goal of stabilising Afghanistan to the point where the Afghan authorities can govern the country without outside intervention. As Our Man in Kabul, nobody is better placed to tell this story. 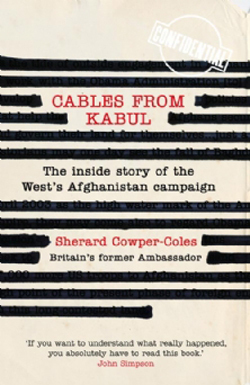 Powerful, witty and astonishingly frank, Cables from Kabul explains how we got into the quagmire of Afghanistan, and how we can get out of it. A girl. Noisy, sweary, political, very ranty. Geek mixed with a touch of law. No-longer-practising barrister. Everything you read in here is true. In Manchester, Anders Svensson is on the trail of drug baron Merlin and his lieutenant Flow, a man so dangerous his type is said to appear only once in a decade. 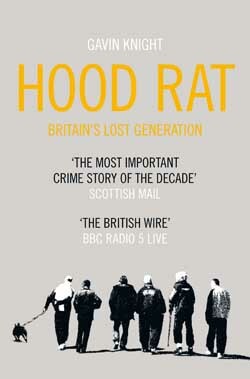 In Glasgow, faced with the highest murder rate in Europe, Karyn McCluskey is a one-woman mission to end gang warfare. In London, Pilgrim finds he’s no longer feared. Troll, the child soldier, is terrorizing the streets. This is our hidden urban underworld. 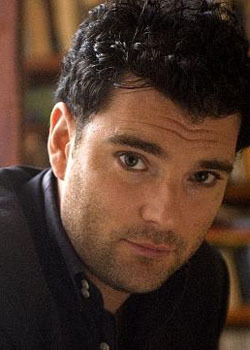 Edward Docx writes for The Times, The Telegraph, The Washington Post, The Observer, Vogue and The Independent. His most recent journalism appears in The Guardian and Prospect Magazine. He has also published a number of books including The Calligrapher and Pravda. He is based in London. On an icy dawn morning in Paris in January 1943, 230 French women resisters were rounded up from the Gestapo detention camps and sent on a train to Auschwitz – the only train, in the four years of German occupation, to take women of the resistance to a death camp.The youngest was a schoolgirl of 15, the eldest a farmer’s wife of 68; there were among them teachers, biochemists, sales girls, secretaries, housewives and university lecturers. Caroline Moorehead’s remarkable new book is the story of these women – the first time it has been told.It is about who they were, how and why they joined the resistance, how they were captured and treated by the French police and the Gestapo, their journey to Auschwitz and their daily life in the death camps – and about what it was like for the 49 survivors when they returned to France. Six of the women were still alive in 2010 and able to tell their stories. What they had to say – and this was confirmed by the children of those who died – was that great affection and camaraderie grew up among the group. They became friends, and it was precisely this friendship that kept so many of them alive.They supported and cared for one another, worked together, shared everything, watched out for each other and faced the horror together.Friendship, almost as much as luck, dictated survival. 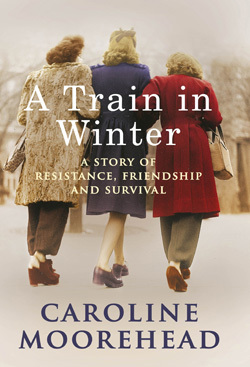 Drawing on interviews with survivors and their families, on German, French and Polish archives, and on documents held by WW2 resistance organisations, A Train in Winter covers a harrowing part of our history but is, ultimately, a portrait of ordinary people, of bravery and endurance, and of the particular qualities of female friendship. I am Lisa Ansell. This blog is my thoughts. I have accepted it is unlikely that the next year is going to throw up a political solution to the global crisis the news is pretending we aren’t in. In the absence of a credible economic alternative, I am seeking my own. So while I attempt to defy the economy, I shall keep this. My perspective. Probably not yours, which is rather the point. I never understood how one perspective was ever expected to see anything in the round. I can pretty much guarantee that I can’t change reality to match your current political or ideological requirements. I apologise in advance. I am often wrong, I mostly write in a hurry and edit sporadically. The only line I take is my own, and it changes as I learn. And lets face it, there is little to do but learn at this point in time. A summer of little bread and increasingly spectacular circuses. 2. Rioting and looting. London-based journalist writing features and news for print and web. Recently completed a Winston Churchill Travel Fellowship reporting on immigration and asylum in Greece, Italy, Spain, France and the UK. Prior to that worked for the Washington Post’s London bureau chief as editorial assistant/special correspondent. Cut my teeth as news editor for the Partnerships Bulletin, a trade magazine all about PFIs and project finance. Before this, won a Guardian Scott Trust bursary to study print journalism at Sheffield University. 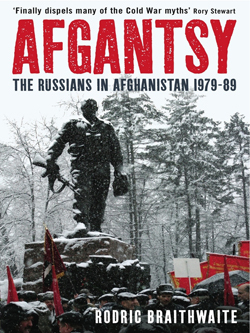 In a timely and eye-opening book Rodric Braithwaite examines the Russian experience during the Soviet war in Afghanistan. Basing his account on Russian sources and interviews he shows the war through the eyes of the Russians themselves – politicians, officers, soldiers, advisers, journalists and women. As former ambassador to Moscow, Rodric Braithwaite brings unique insights to the Soviet war in Afghanistan. The story has been distorted not only by Cold War propaganda but also by the myths of the nineteenth century Great Game. It moves from the high politics of the Kremlin to the lonely Russian conscripts in isolated mountain outposts. The parallels with Afghanistan today speak for themselves.’A superb achievement of narrative history, sensitive writing and exciting fresh research’: so wrote Simon Sebag Montefiore about Rodric Braithwaite’s bestsellerMoscow 1941. But those words, and many others of praise that were given it, could equally apply to his new book. For forty years, Christopher Hitchens has been at the epicentre of the battle of letters in Britain & America. This blockbuster volume is the collection of a lifetime. ‘As soon as we abandon our own reason,’ wrote Bertrand Russell, ‘and are content to rely upon authority, there is no end to our troubles.’ For over forty years, Christopher Hitchens has proclaimed truth where others have spun falsehood and written, with passionate commitment, on matters that others fear to broach. This volume of essays spans Hitchens’ whole career and encompasses his writing on politics, literature and religion. It is the most comprehensive collection of the work of the finest English essayist since Orwell. 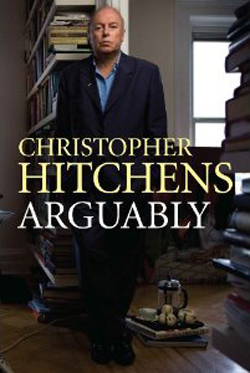 Arguably contains all aspects of Hitchens’ wide repertoire as journalist, polemicist and critic. Divided into sections such as: ‘All American’, ‘Eclectic Affinities’ and ‘Foreign Quarrels’, Hitchens unfolds his views on subjects ranging from Clinton to Kissinger; Powell to Proust. Hitchens’ life has, above all else, been one of defiance and wit, courage and humility: in an age of digital punditry and twenty-four hour hucksterism, he has been a voice of reason amid the clamour, making his indelible and brilliant mark on politics and literature on both sides of the Atlantic. While his many books exist as a formidable legacy, it is his mastery of short-form journalism and criticism that constitute his lasting claim to greatness. Arguably is a unique anthology and the indispensible companion to the Anglosphere’s pre-eminent political writer. Fintan O’Toole is assistant editor of The Irish Times and author of ‘Ship of Fools: How Stupidity and Corruption Killed the Celtic Tiger’. He has written for The Irish Times since 1988 and was drama critic for the New York Daily News from 1997 to 2001. Introduction Anna Chen’s blog. Writes and presents programmes for BBC Radio 4. First British Chinese comedian to write and perform at the Edinburgh Fringe Festival (Suzy Wrong — Human Cannon, 1994) and appear on British television (Fist Of Fun, 1995). Writes and performs poetry. Madam Miaow casts a sharp eye over the political and cultural landscape and takes a scalpel and a shotgun to the guilty parties. Rupert Murdoch: ain’t our democracy wonderful?